This elegant spotlight, with very smooth lines and two identical heads joined by an integral ball-and-socket joint, incorporates a new 350 mA, 6.6 W LED by Bridgelux with a luminous efficacy of 600 lumens each. The reflector has an aperture angle of 47 degrees. 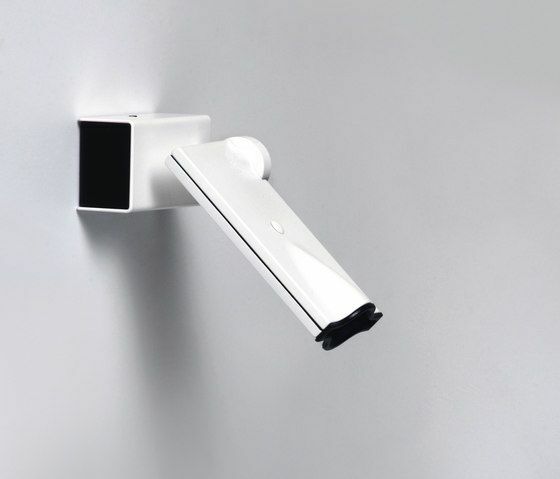 The series is made entirely from injected aluminium with a matte white lacquer finish. It uses a 350 mA trailing edge dimming driver connected in parallel. Its energy efficiency factor is an excellent A+, which makes it one of the most efficient on the market.